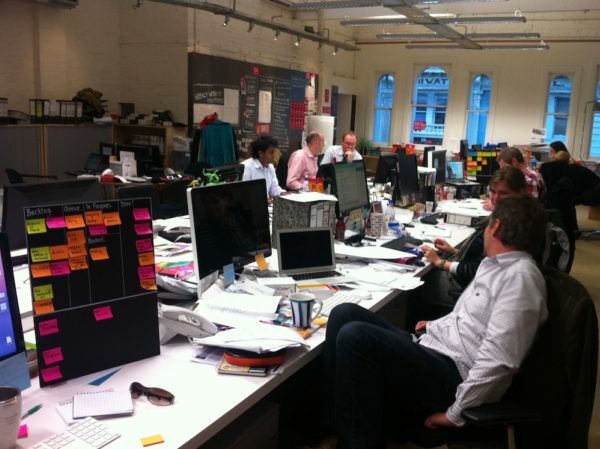 When we introduced Scrum and Kanban to our teams the most loved addition to our way of working were visual workspaces. We found it tremendously helpful to make our tasks visible though post-it notes, to visualise our workflow and to make sure that we didn't do too many things at the same time. With the visual task wall, the so-called team Kanban board, everyone knew how close we were to our goals, what still needed to be done and who was working on which task. But as not everyone works on only one project - some people work across several project teams, others work predominantly by themselves - we started to think about how we could transfer the benefits of the shared visual board to our individual todo lists and people's personal workflows. This, in combination with our newfound love for the agile idea to finish one task before starting a new one, led us to create personal Kanban boards. The Kanbanfor1 board provides us with an elegant and simple way to interact with our individual task lists: In one quick glance we can see what we have to do today, what we should work on next, what we are working on right now and what we have achieved this week. 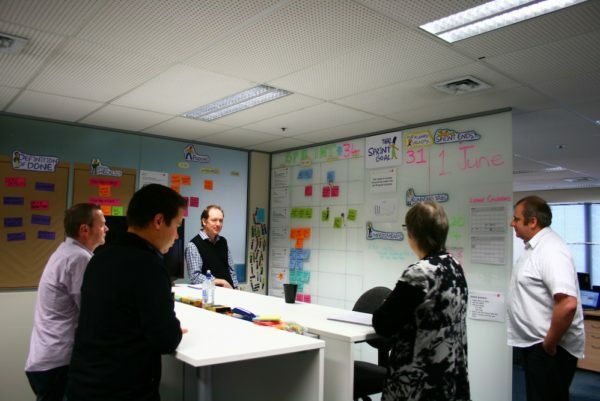 The physical act of moving sticky notes from one column to the next throughout the day provides us with a sense of progress and achievement and we like how the boards visualise that we get closer to our goals. The Kanban board help us to manage a continuous flow of things to do. By limiting the size of the “Doing” box, we limit the number of things we can do at once. This is important because we know that taking on fewer simultaneous things makes it infinitely more likely that we'll finish what we have started. After 3 months 70% to 80% of our staff moved from todo lists to personal Kanban. Since 2010 I have introduced Kanban for 1 in many organisations and the vast majority of people say that they just get more done and are a lot more productive than they have ever been before! Did we just make this up? Not at all. There is a sound basis to Kanban. Used by software developers, car manufacturers and businesses all over the world it is a proven tool for managing workflow of multiple tasks or parts of a project or lists of activities in a structured and achievable manner. Personal Kanban is a philosophy of self management - of tasks and time - that has emerged from the use of Kanban to manage workflow in large projects or organisations. Based on the understanding that multi-tasking is, if not exactly evil, at least majorly inefficient, personal Kanban helps you to tackle one thing at a time and to track the progress of your work or tasks from start to finish. Here’s a really good eBook if you want to know more about the science behind personal Kanban and value a short and condensed hands-on description. 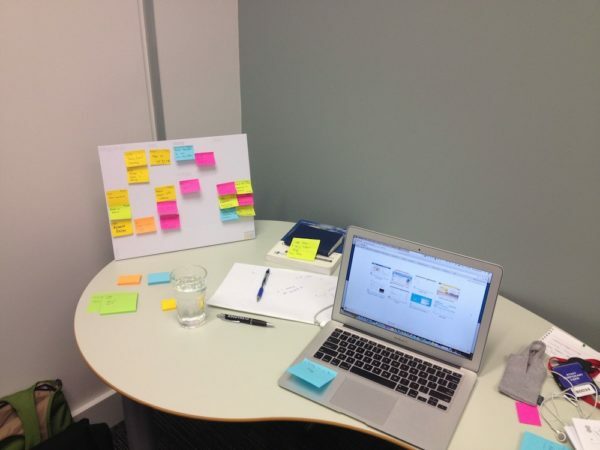 Make your own personal Kanban board. Get one of our Kanban for 1 boards - perfect for home and work and for everyone who values good design. Tell us that you're interested in a personal Kanban training course and we'll make it happen. 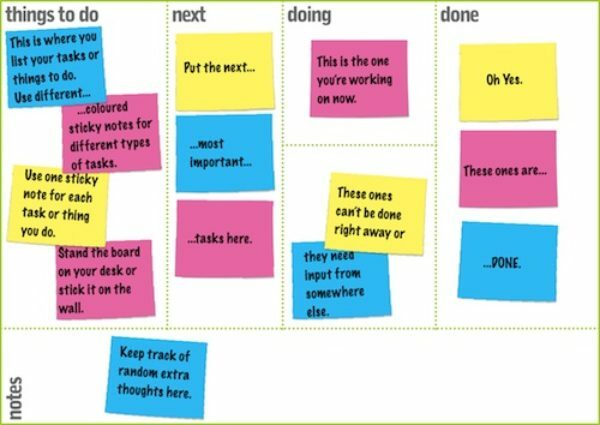 Tags: Kanban, Kanban boards, Kanbanfor1, Lean, multi-tasking, Personal Kanban, Productivity, todo list, tools. Could a "Definition of Ready" Help You Strike a Balance?